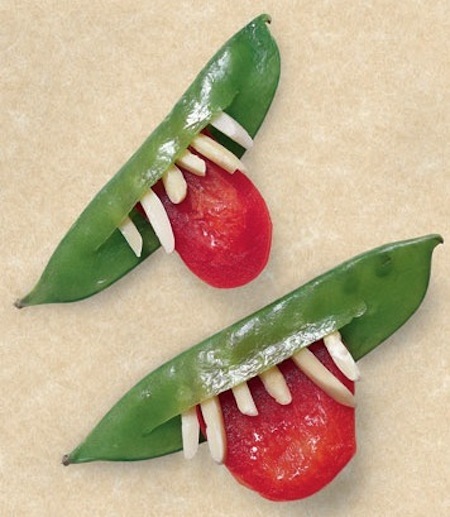 These goblin grins are a nice addition to a vegetable tray! 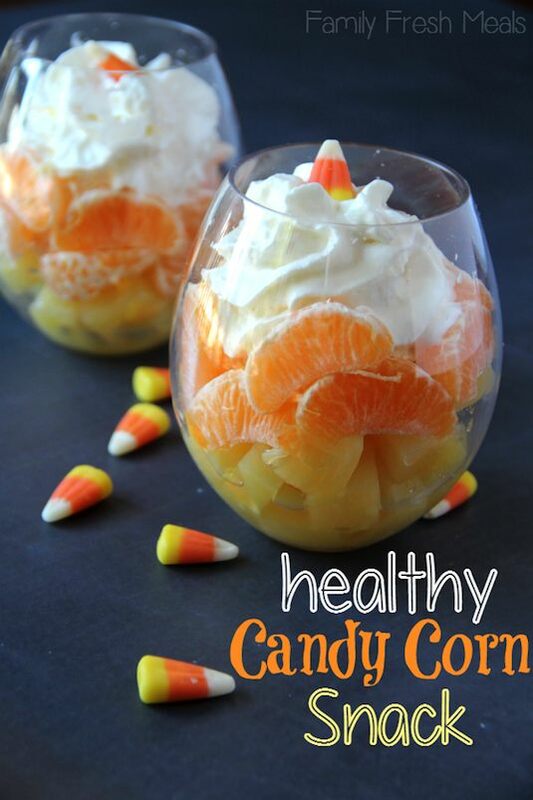 You could also use them on a snack plate and use other veggies for the eyes and nose. Cute! 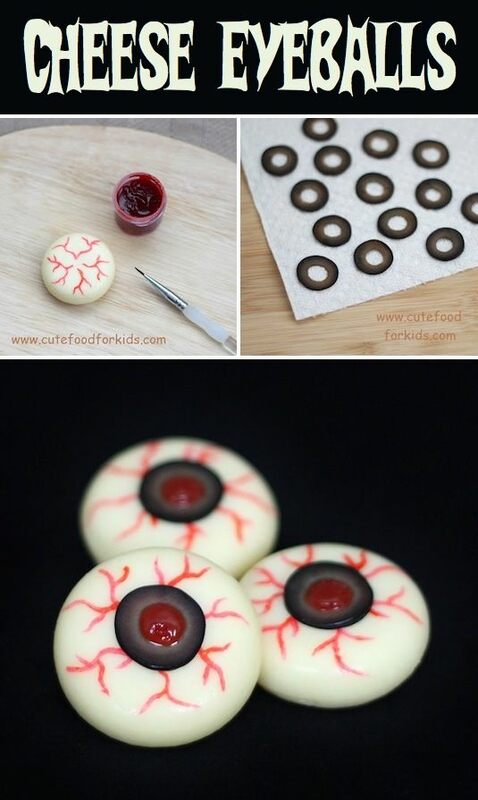 Everyone loves those yummy little Babybel cheese rounds, and they just happen to be perfect for making edible eyeballs. The kids are in for a surprise when they open up their school lunch and see what’s waiting for them!